Kits are packed with swabs for up to 3 people. These swabs are packed in plain envelopes and each swab has a single cotton-ended tip. Make sure not to touch this part with your fingers. 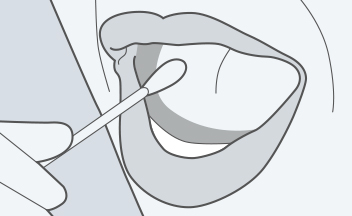 Instructions; explaining how to collect the samples properly using our DNA test kits. 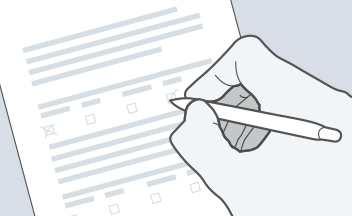 Consent form; this form will authorize laboratory testing. Without it properly filled out, we will not be able to analyse your samples. 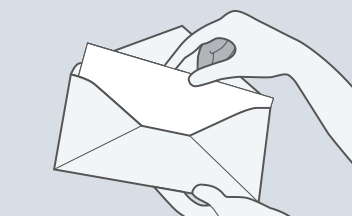 A pre-addressed envelope for returning your samples. You will need to affix a stamp before sending your samples back to us. However, we highly recommend using a courier or tracked mail service so you can track your kit and samples. Note: Kindly ensure that the following basic precautions be rigorously adhered to. Failure to do so may result in failed samples and inconclusive DNA test results. 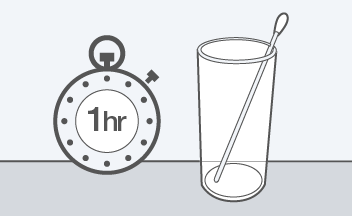 Do not eat or drink anything for one hour prior to testing. Particles or chemicals found in ingested food or drinks may degrade the DNA in the sample or render its extraction impossible. Do not smoke for one hour prior to testing. Note: In the case of legal testing, EasyDNA will need to organize the sampling procedure and provide you with further information and guidelines. Cannot afford to wait for a DNA test kit? Create your own! Our kits are promptly dispatched as soon as you confirm your order. It will take around 2-3 working days to reach you. Should you be in hurry and wish to collect samples sooner, then why not create your own sample collection DNA test kit? Learn how to make your own home kit now. What happens when more people take part in the DNA test? EasyDNA CA is based in Toronto. We can send your DNA test kit anywhere in Canada including Alberta, British Columbia, Manitoba and New Brunswick. If test participants live in different parts of the globe our international network of offices will enable us to organize your cross-border test. We can easily organize and dispatch kits to different locations.